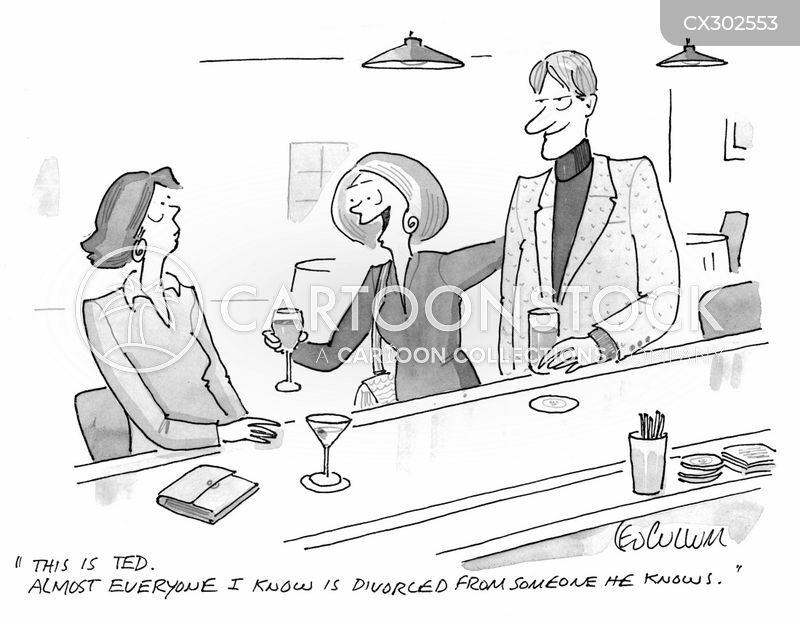 "This is Ted. 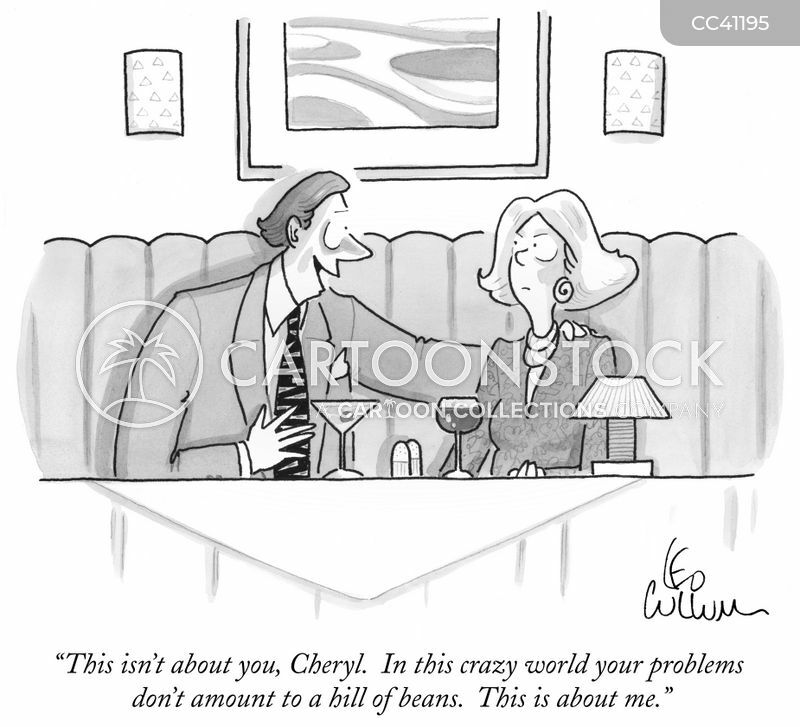 Almost everyone I know is divorced from someone he knows." 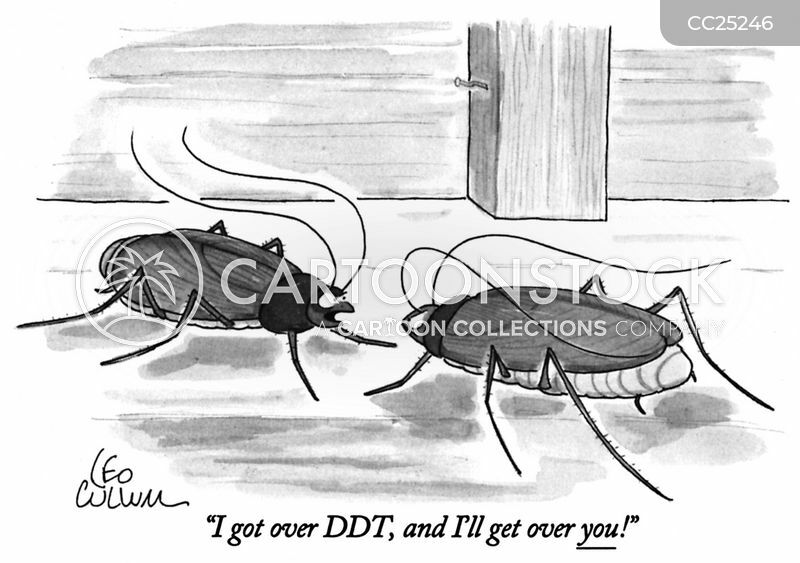 "It's pro-active, Stan. 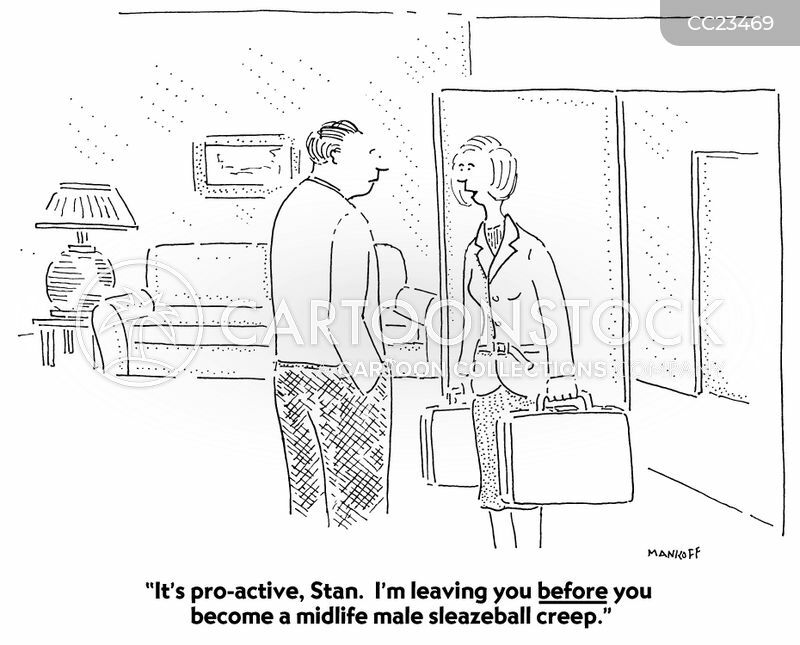 I'm leaving you before you become a midlife male sleazeball creep." 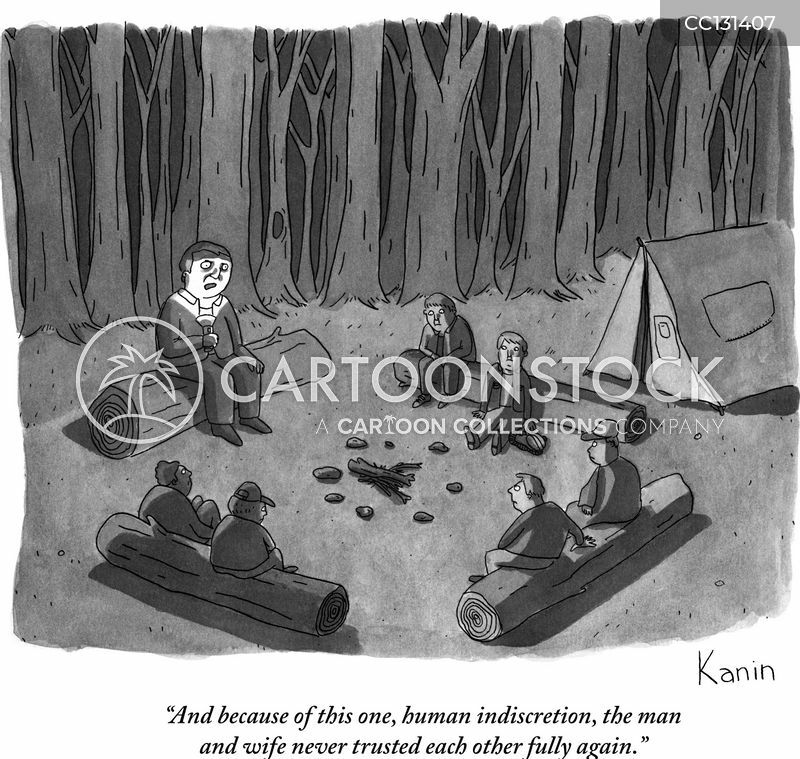 "And because of this one, human indiscretion, the man and wife never trusted each other fully again." 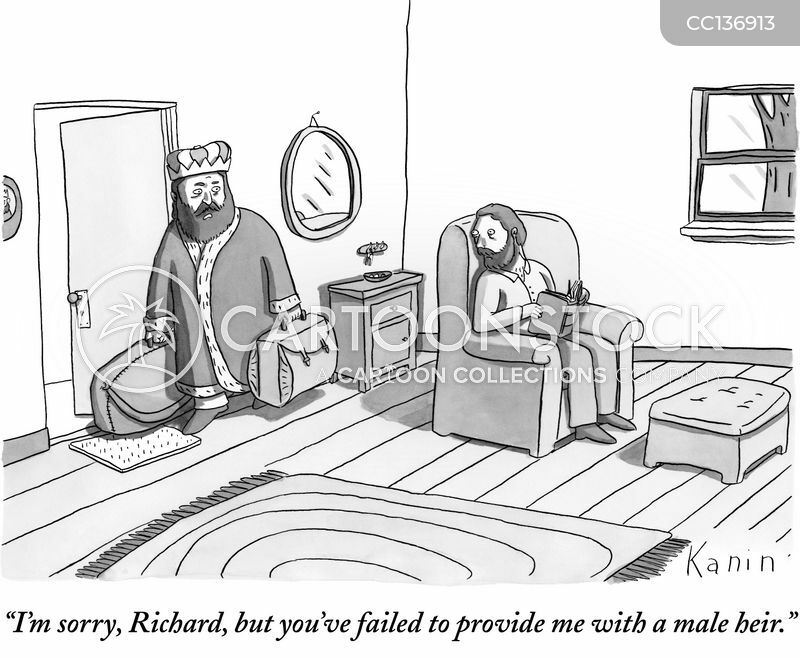 "I'm sorry, Richard, but you've failed to provide me with a male heir." 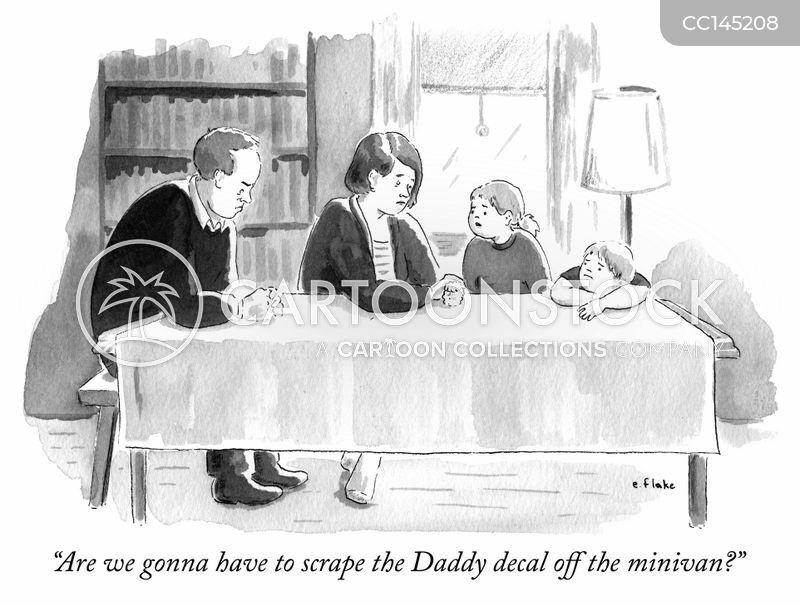 "Are we gonna have to scrape the Daddy decal off the minivan?" 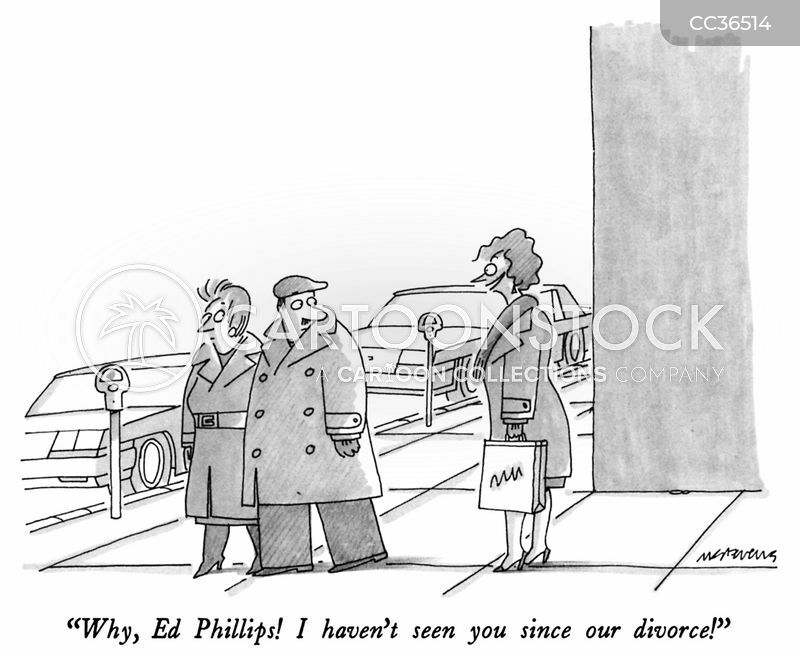 "Why, Ed Phillips! 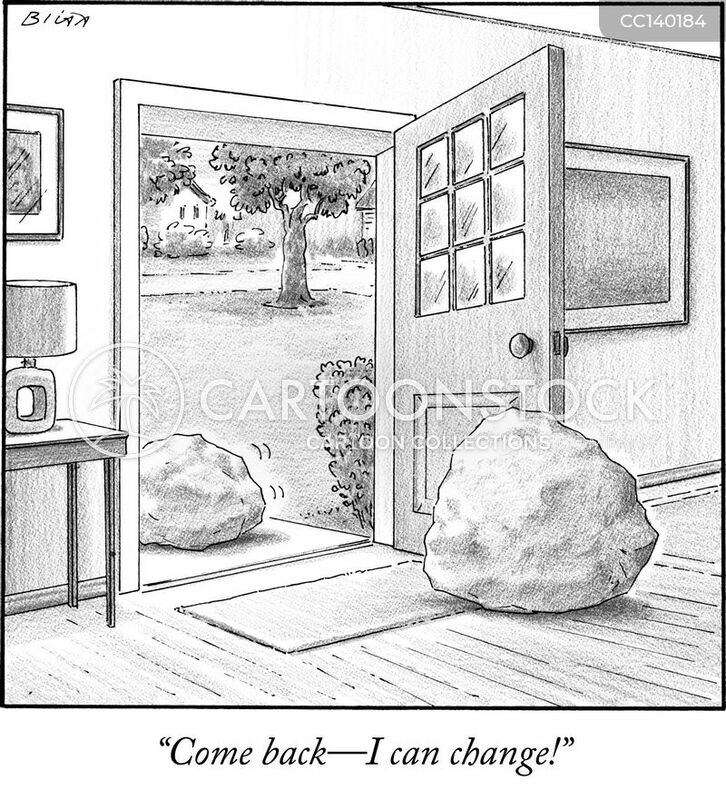 I haven't seen you since our divorce!" 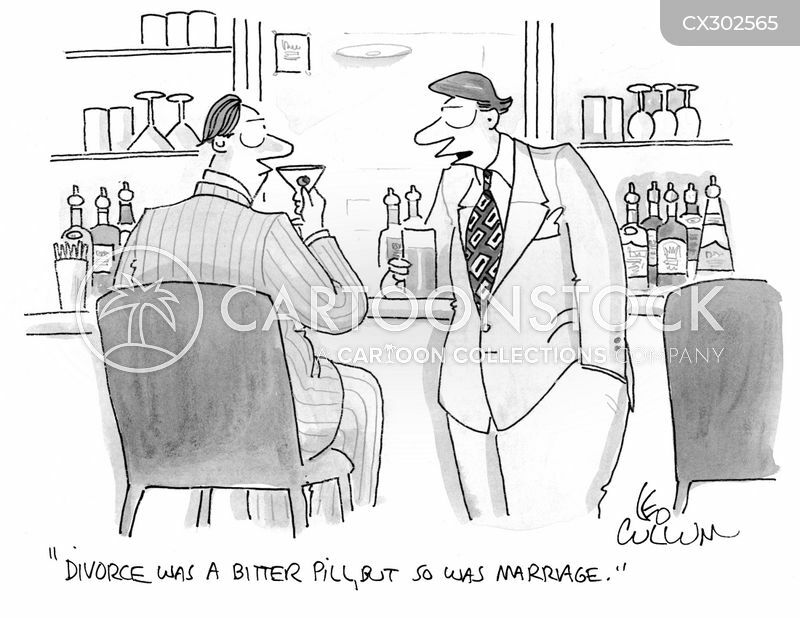 "Divorce was a bitter pill, but so was marriage." 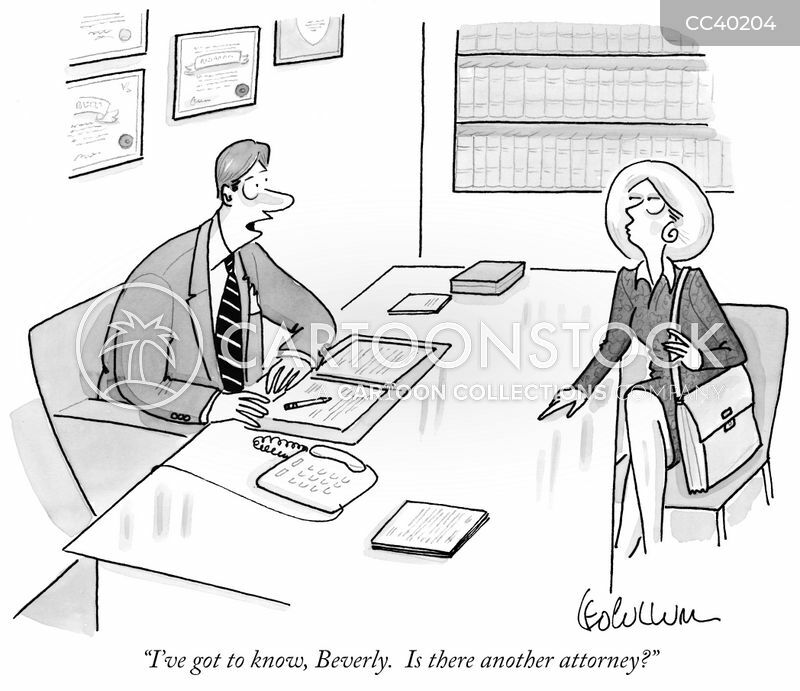 "I've got to know, Beverly. 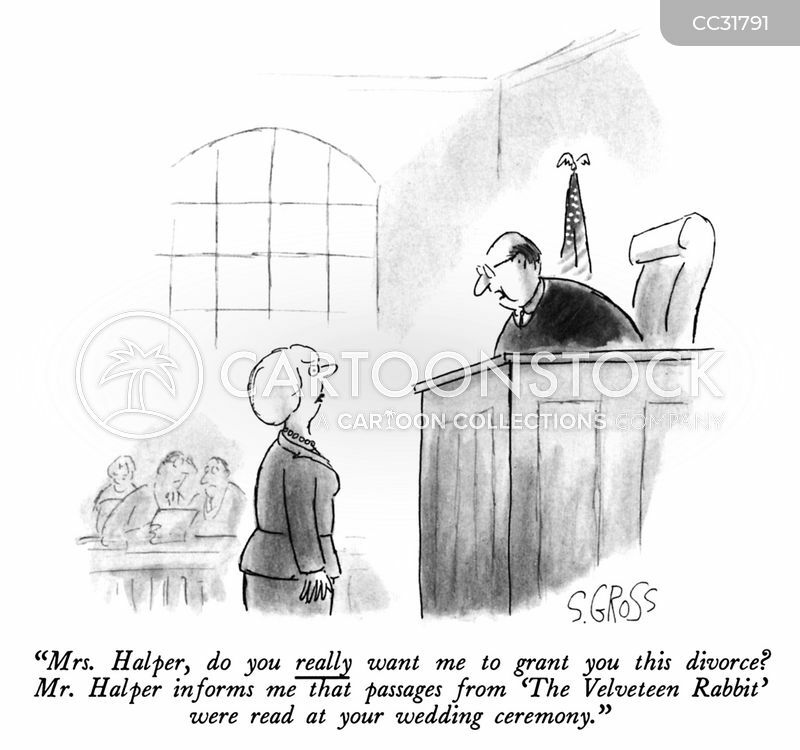 Is there another attorney?" 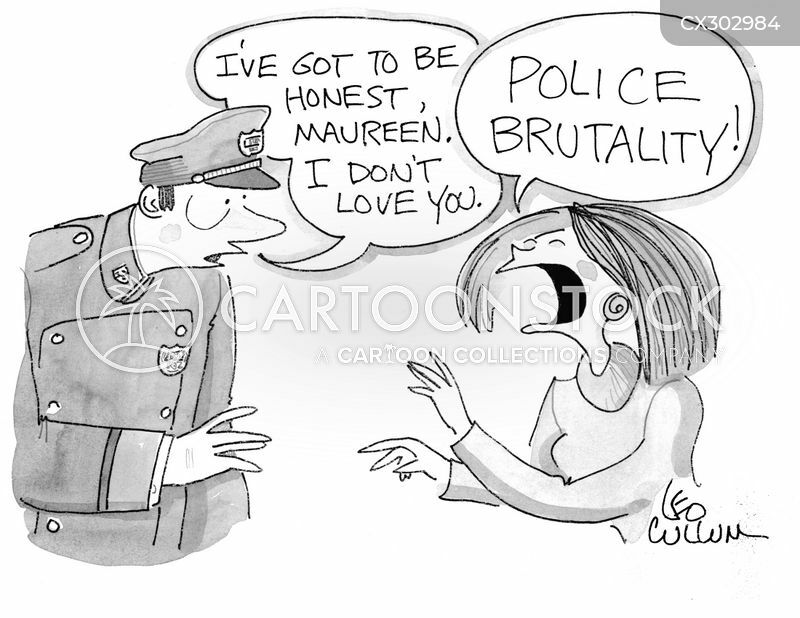 "I'm sorry, Arthur. 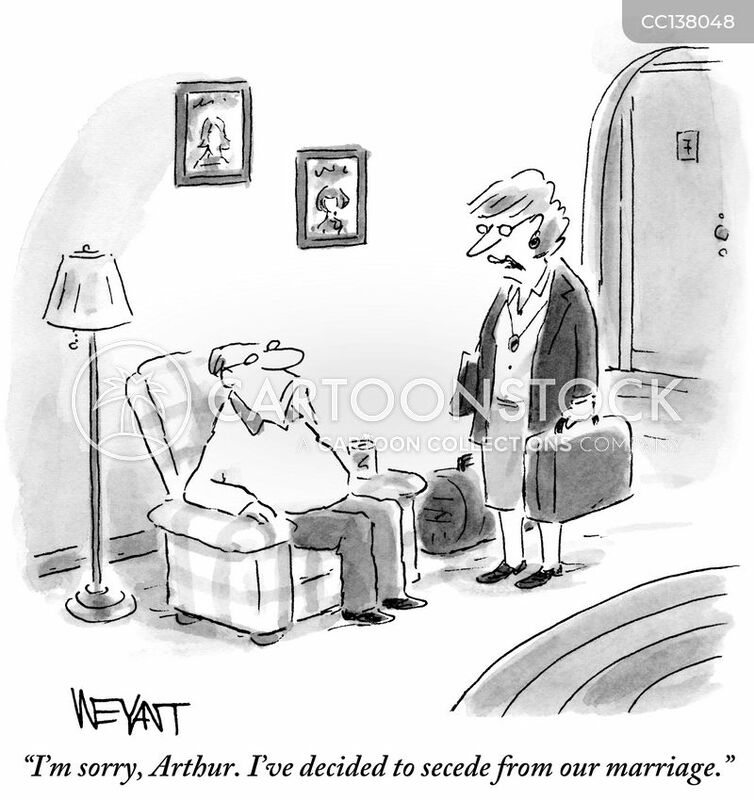 I've decided to secede from our marriage." 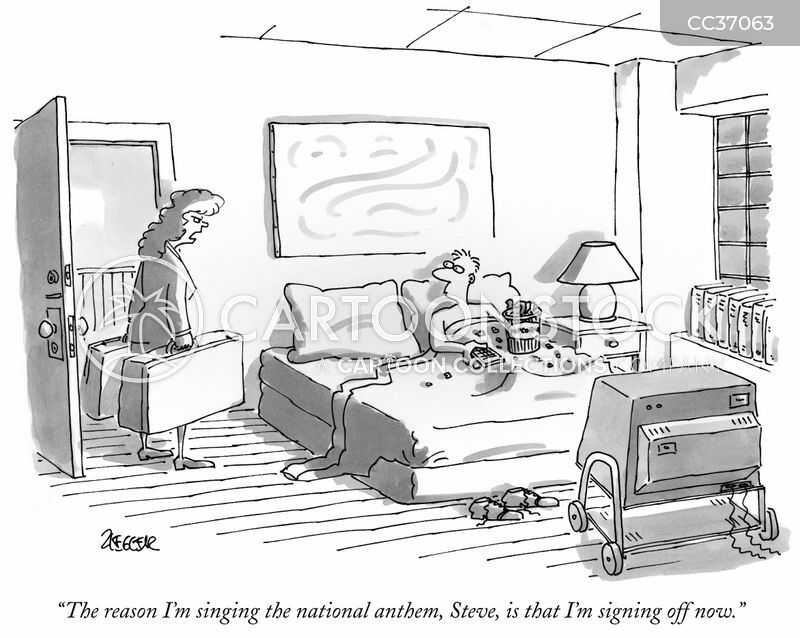 "And another thing …. 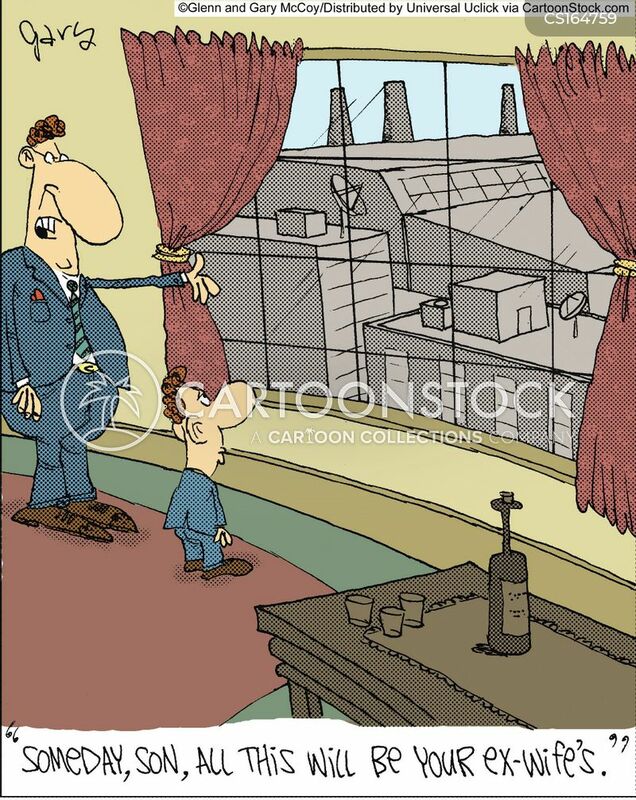 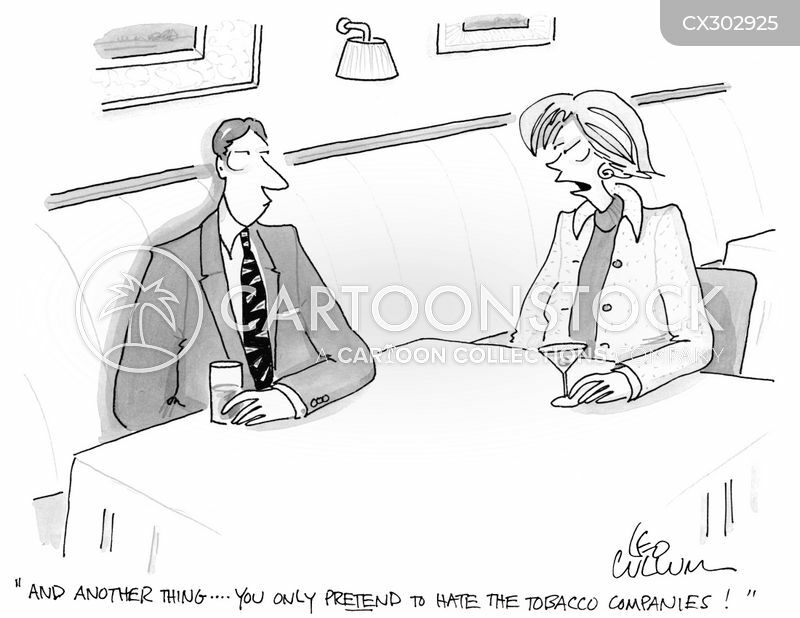 You only pretend to hate the tobacco companies!" 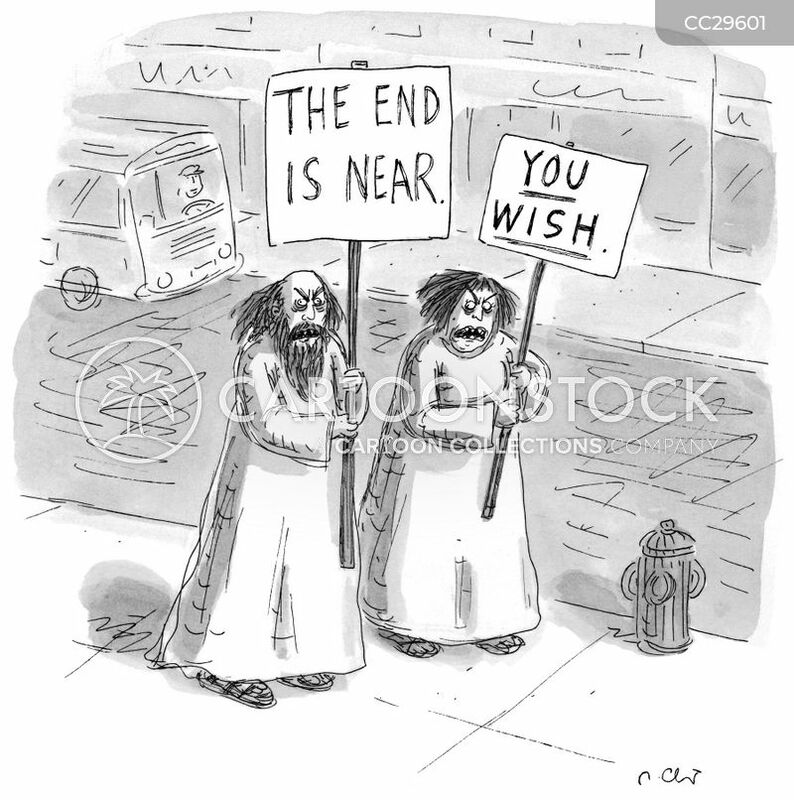 The End is Near...You Wish. 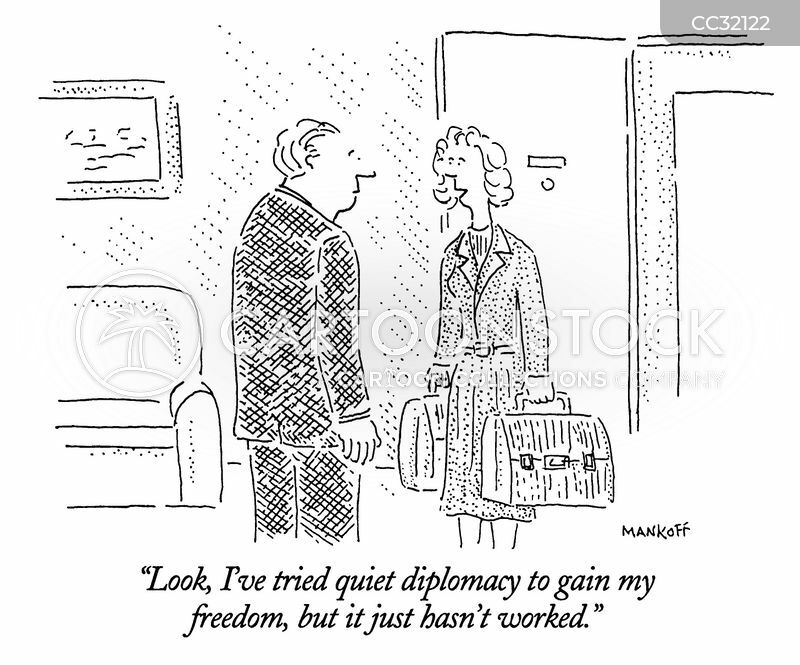 "Look, I've tried quiet diplomacy to gain my freedom, but it just hasn't worked." 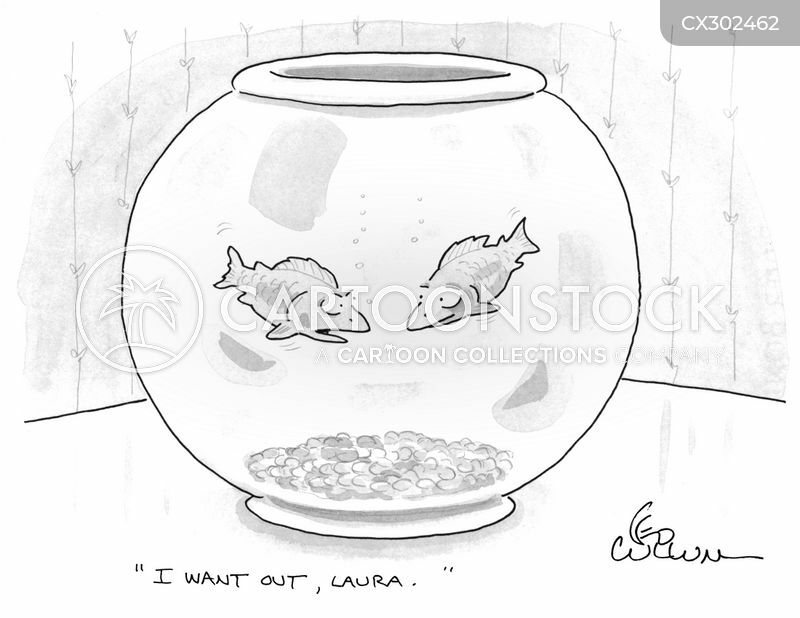 "It equals out. 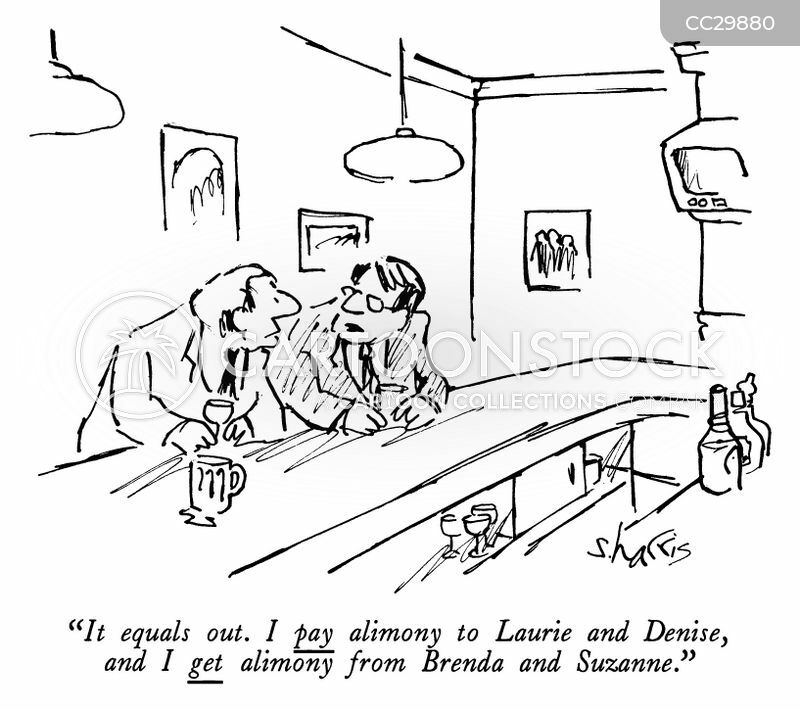 I pay alimony to Laurie and Denise, and I get alimony from Brenda and Suzanne." 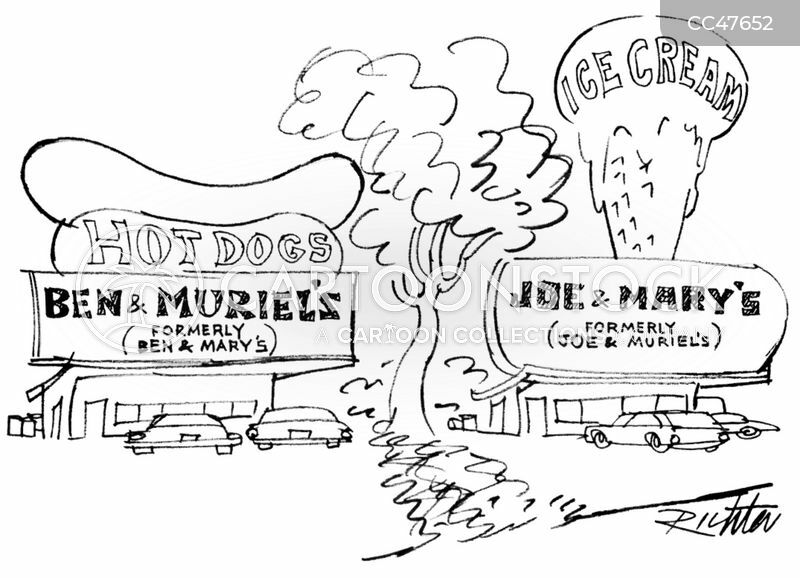 "I'm sorry, Louis. 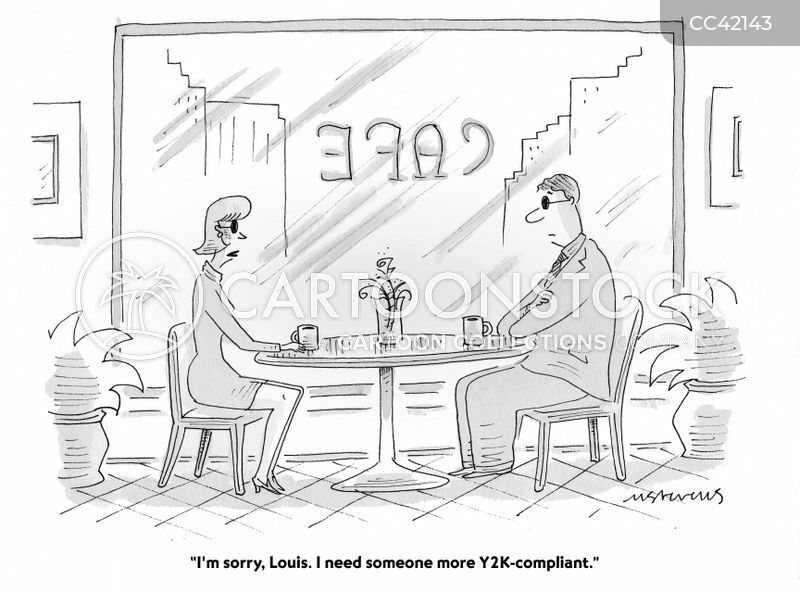 I need someone more Y2K-compliant." 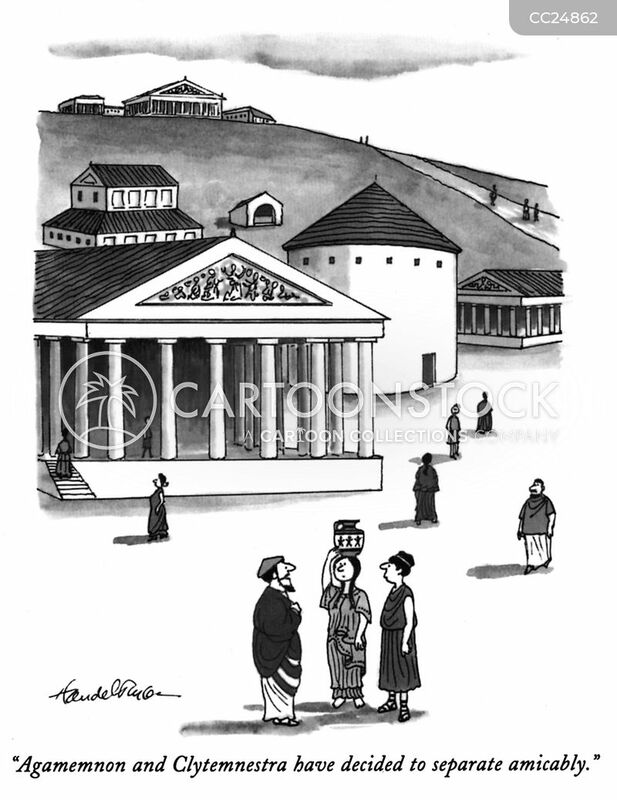 "Agamemnon and Clytemnestra have decided to separate amicably."